SINN FEIN/IRA/PSNI SILENCE WILLIE FRAZER!!!!! | AMERICAPHILE RESURGENT!!! ← EX-IRA MAN RAYMOND GILMOUR SPEAKS OUT FOR PEACEFUL PROTESTORS !!!!! SINN FEIN/IRA/PSNI SILENCE WILLIE FRAZER!!!!! DUBLIN’S RTE IS GLOATING OVER THE SILENCING OF CIVIL RIGHTS LEADER AND VICTIMS’ FAMILIES ADVOCATE WILLE FRAZER!!!!!!! Leading Loyalist campaigner Willie Frazer has been banned from using any social media during a temporary release from prison. The 52-year-old was also prohibited from entering Belfast while out of custody tomorrow for a hospital appointment connected with ongoing cancer treatment. Mr Frazer, of Tandragee Road, Markethill, Co Armagh, is charged with encouraging [FREEDOM] by a speech to [PEACEFUL] Union flag protestors. DOES “SOCIAL MEDIA” INCLUDE INTERVIEWS WITH RADIO SHOWS ABROAD?!?!? SO MANY IN AMERICA NEED TO HEAR WILLIE’S MESSAGE, ESPECIALLY THIS MONTH WHEN WE ENDLESSLY HEAR ABOUT THE “CONTRIBUTIONS” OF HYPHENATED-“AMERICANS”…. FIFTY YEARS OF LIBERAL ROT STARTING WITH THE CHAPPAQUIDDICK KENNEDYS!!!!!! ARE THERE ANY COURAGEOUS BROADCASTERS IN AMERICA, SUCH AS PASTOR RALPH OVADAL, WILLING TO TAKE ON THE JESUITS AND THE AOH BY GIVING WILLIE A VOICE?!?!!?!? 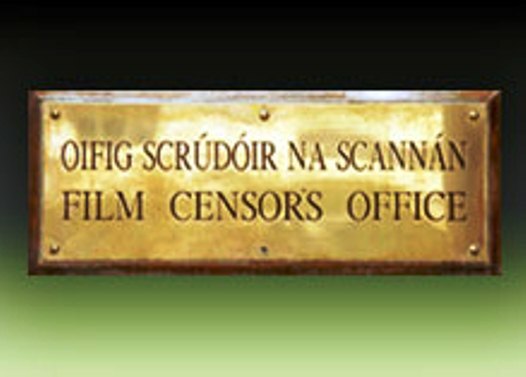 Posted in Uncategorized and tagged WILLIE FRAZER. Bookmark the permalink. 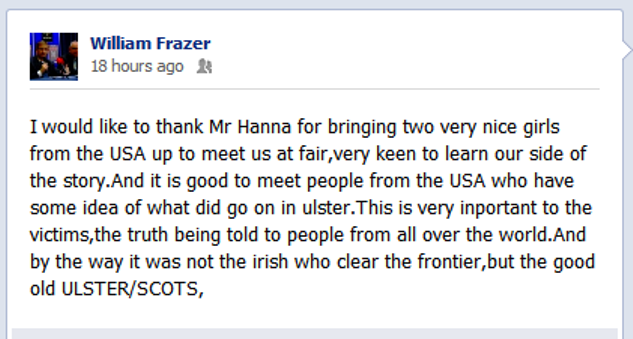 Willie Frazer the idiot spelling important wrong? willie Frazer you are a fraud and a liar,you preached for others to break the law and go to prison,and when you went to prison you gave up every principle you told everyone else to uphold,yourself and bryson put young people behind bars and then cried like babies when you had to doe time.You make me sick,how can you show your face in public.My nephew who listenrd to you and went to prison is more of a man than you two will ever be,at least he is doing his time and not whining looking out.Stay away and stop starting fights you are not prepared to fight yourself.Your a shame and disgrace!